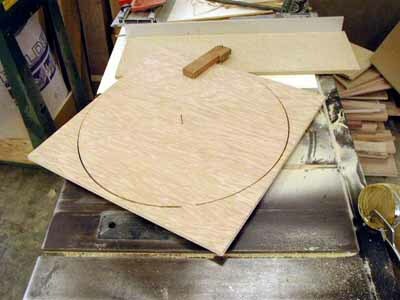 Cutting circles on the table saw is my preferred way of cutting large circles. 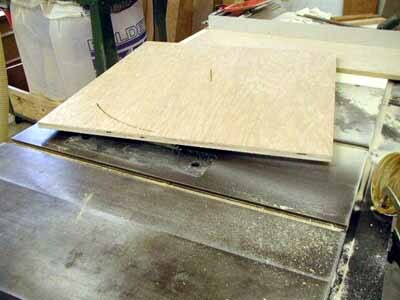 I have use the band saw method, the router method the jig saw method but find I like the table saw method the best. 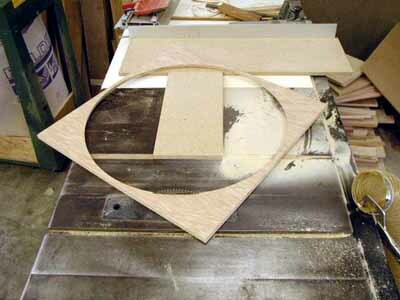 but it gives you a perfect circle with finished edges you don't even have to sand. 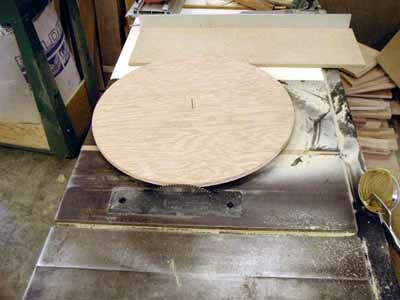 I make all my lazy-susan disk on the tables saw. Over the years I have made quite a few circles on the table saw and no way do if find it scary or un-safe. Like in table saw operation you have to pay attention to what you are doing. I have never done this with something as thick as 1-3/4. then cut on the table saw. 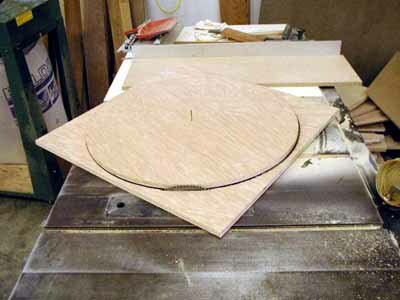 To cut circles on the table, I first attach a false table on the left hand side of the table saw blade. draw a line perpendicular from the center of the blade on the false tabletop. this is your pivot point. 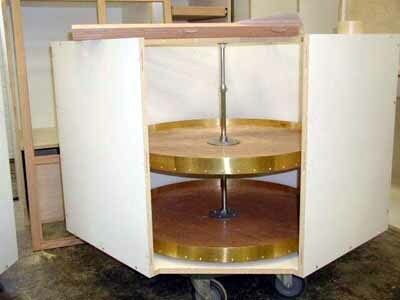 spin the stock unit you get thru the material.